Here you see another kit. 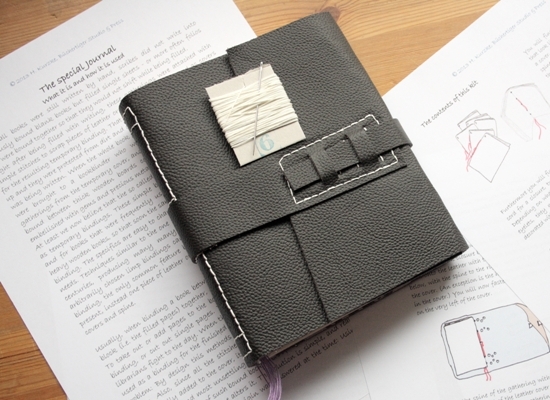 Contained are instructions, a ready made cover, needle and thread, and bound gathering that you will fit one by one into the leather cover. 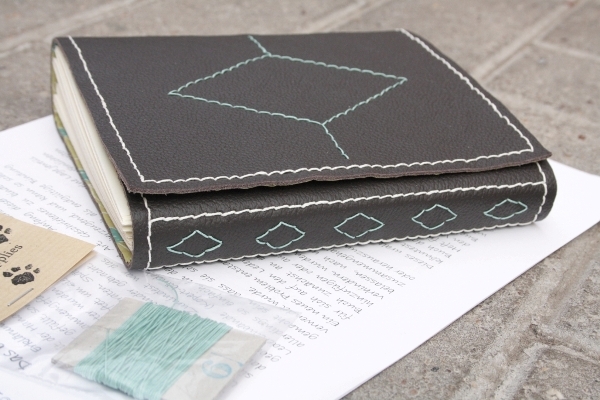 These bookbinding kits are essentially leather bound journals in individual gatherings. It is up to you whether you fill the gatherings one by one – just like a scribe in the middle ages – and bind the book slowly, one gathering at a time. 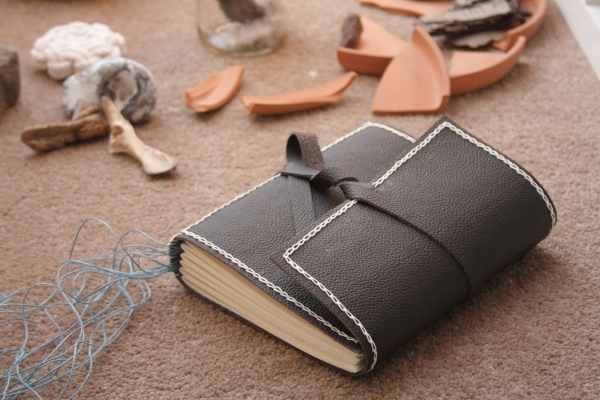 Or whether you first built your blank journal and then use that as usual – or give it away as a special gift. By following the instructions in this kit, you acquire the necessary skills to make your next book almost automatically. 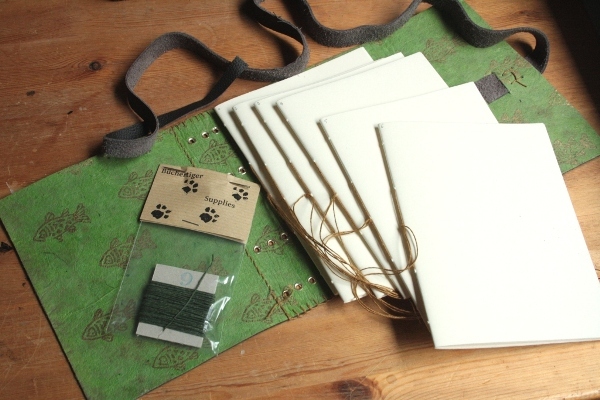 The little bit of further information that you need to construct your own cover (this kit contains a ready made cover) is delivered at the end of the instructions. No additional tools required, except maybe a pair of scissors, depending on whether you choose to cut the thread that binds the gatherings. The instructions are available in English and German. It starts of with some hostorical remarks about this type of binding. 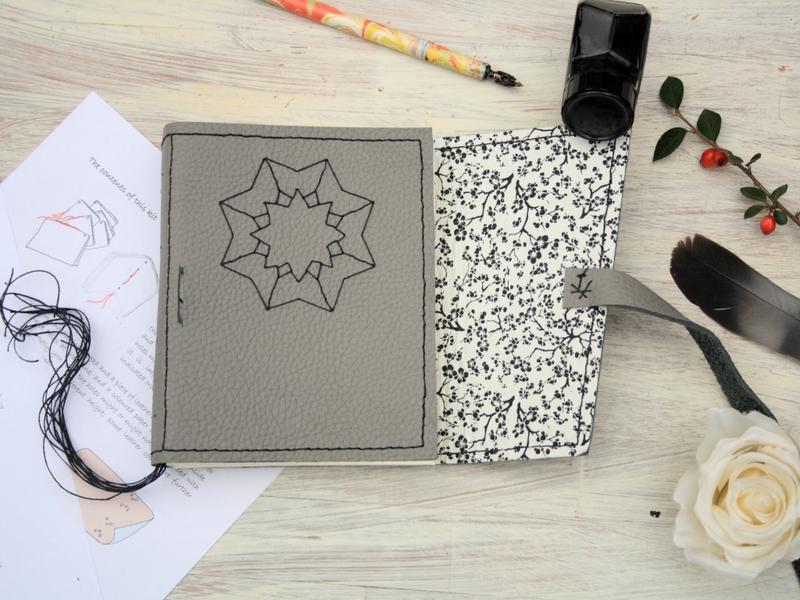 The main part consists of step by step instructions with a total of 13 colored sketches. 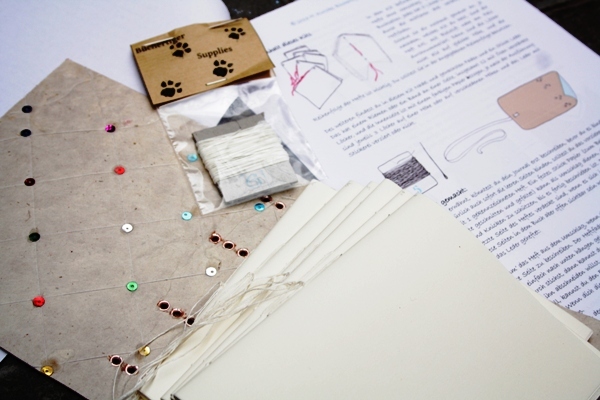 It is followed by a chapter named “how to make your next book” which contains brief recommendation about what materials to buy and where to get them, as well as how to construct and decorate the covers. This last part is not exhaustive, the possibilities are almost endless. But luckily it is easy to take the first steps, and after making a few, you will learn what you like, and in which direction you want to go to learn more. The price varies since each cover is unique. 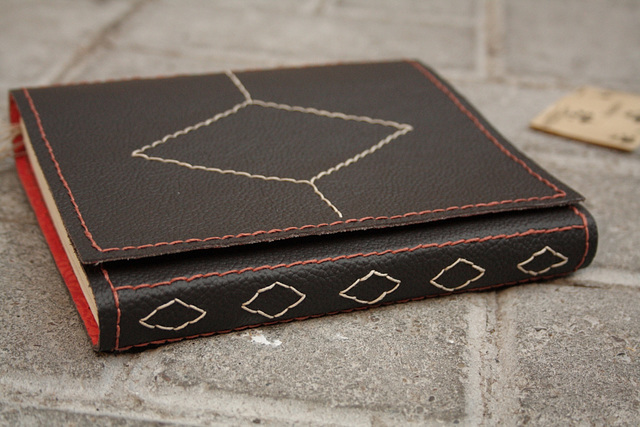 Pricing depends on materials and mostly on the time invested into the construction of the leather cover. 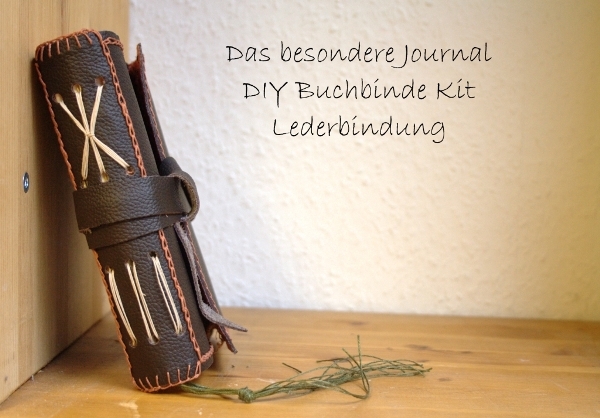 The kits are available like all my instruction in my Büchertiger Supplies Etsy Shop.